For years, encryption of messages sent over the internet relied on ever longer and more sophisticated numerical decryption keys -- passwords or "handshakes" between distant computers. With increasing computing power came the need for longer keys, without which increased the risk of messages being intercepted by competitors with access to cutting-edge equipment. Current encryption methods have a finite shelf life. Visionary scientists already saw the unsustainability of this solution more than a decade ago. Yet, Western governments and research funders have long dithered when it came to making meaningful investments in alternative and practical cybersecurity fixes. In recent months, Chinese scientists have come out of the shadows to claim a clear lead in practical applications to the cybersecurity threat. They managed to put in practice physical principles that go back to Albert Einstein's century-old, brilliant insights. The idea, known as quantum communication or quantum entanglement, is based on information stored in light particles, or photons. That information is sent over long distances using laser beams, either through fiber-optic cables or via satellites in space. If anyone were to intercept the message, the photons would be disturbed, which the receiver would notice immediately. In fact, by simply reading the message, no matter from how far away, the nature of the photons would be altered irrevocably. This prompted Einstein to call the effect "spooky action at a distance." 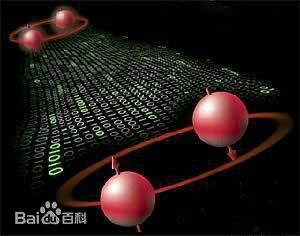 Last June, Chinese scientists wrote in the prestigious journal Science that they had sent identical pairs of photons from the country's first quantum communications satellite, Micius, to two ground stations, in Delingha (Qinghai) and Lijiang (Yunnan). They reportedly measured more than one thousand photon pairs at the same time at both stations. A major problem hampering the use of photons as information carriers is that they degrade quickly, both in fibers and in the air -- but not in the near-vacuum conditions of outer space. Quantum repeaters would therefore be required to retain signal strength. This technology is, however, not yet mature. The experiment involving the Micius satellite shattered any previous attempts at quantum communications by a long way. But breaking distance records was not the scientists' ultimate goal. While their Western counterparts were limited to small-scale experiments and explorations of the basic physics involved, the Chinese government's decision to fund development of practical applications gave Chinese teams the edge internationally. Satellite-based quantum communication is still in its infancy, however. China's National Space Science Center is poised to launch additional quantum communications satellites in the next five years, equipped with stronger and cleaner laser beams. This will allow the scientists to test their techniques more rigorously; they even hope to communicate with their collaborators in Austria. Meanwhile, however, Chinese applications in quantum cryptography have become practically useful on Earth. A pioneering quantum communications network was recently established in Jinan (Shandong). The new network will allow some 200 users at military, financial, government, and electricity stations to communicate safely, assured that no one else has read their messages. With no competition to speak of, China has now become the global leader in quantum communications applications. Its homegrown cryptography approach may soon be commercialized for adoption around the world to reduce the Internet's current vulnerabilities. The Jinan network is not the first quantum cryptography network in the world, but European and U.S. quantum communications networks have mostly been constructed for research purposes only. These networks are very expensive to build. And unsurprisingly, that is an important reason why commercial or government backers have been rather reluctant to invest in the technology. However, the Chinese network has clear commercial applications. "We have to admit that when China invests into something, they have the financial power and manpower that is beyond probably anything else in the world, except the U.S. military," said Valerio Scarani at the National University of Singapore's Centre for Quantum Technologies, quoted by the BBC. Similar links are already operational between Beijing and Shanghai, so that anyone with access to the network can be certain that their communications cannot be hacked by outsiders -- or at least they would be able to tell immediately if that were the case. Although it is, as yet, up in the air as to whether or not quantum cryptography will replace traditional encryption for secure communications, most pundits are happy to bet on it as a viable option -- and China is leading the world in its applications. Chinese science has come a long way. It has been poised to become world-leading for some time already. It is increasingly likely that our colleagues in the field of quantum cryptography applications will be the first to break through the proverbial glass ceiling and dominate global scientific and practical developments in their field. This should act as an incentive for other Chinese scientists to follow suit! Traditional encryption methods may soon be overtaken by quantum cryptography, a field where Chinese applications have recently jumped to worldwide prominence.